Even the cover is cool! Christmas Lites is a charity anthology to help victims of domestic violence. Even the story of how it came about is amazing and because I think that, I’ve made the bold assumption that you will and decided to tell it to you, now. Back in 2011, a guy I knew a little from a thread on an Amazon forum, C S Splitter, was given the job of being Father Christmas for his work Christmas party. He hired the costume, bought some candy canes to give out, put them in a suitably theatrical and Santa‐esque sack and headed off. He managed to get a bit lost on the way and ended up in a strange looking building. He realised that the women in this place had all recently fled from domestic violence. It was eerily quiet, despite the presence of children. The kids there had learned to stay silent and unnoticed — out of site and off dad’s radar. Some of these children were glad to have escaped with their lives. This Christmas, they weren’t expecting Santa. So Splitter realised he could, at least, give them that. That was way back in 2011. 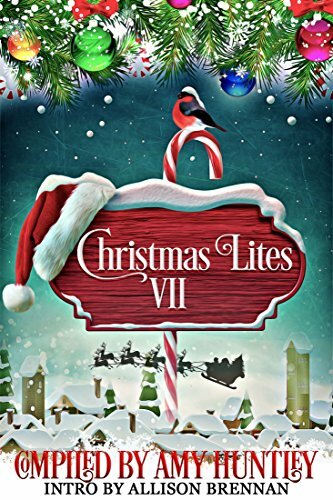 Splitter died of spine cancer a few years afterwards but every year since then, that same group of authors — plus a few others — have contributed a story to the Christmas Lites anthology. I believe the money raised is now well into three figures. That’s a pretty good legacy. If you fancy picking up a quick short by myself and a number of rather better stories by other writers, please go ahead. I’m sure you’ll understand that I can’t give this one away for free or at a reduced price, indeed, I have no advance review copy. But if you want to help people, and grab yourself a dose of the warm fuzzy feeling — as well as a damned good book — please feel free to click on one of the links below. I should also add that the book went live on Christmas Eve which means it’s not showing in many places yet. 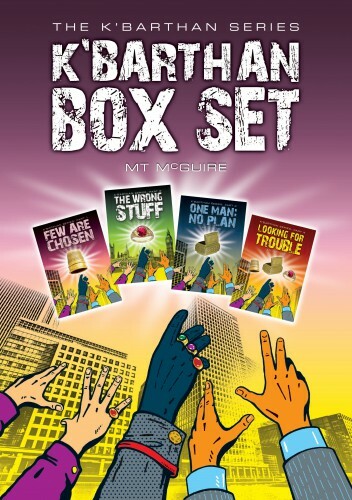 So the link takes you to a page on my website where I’ve given you a universal link to your local Amazon, a Barnes & Noble link which currently takes you to the paperback but when the ebook goes live it will be there, too. Apparently the places it is available will be listed on Books2Read soon — so that’s the third link. As always, the prices will not show as reduced but will drop when you enter the code at checkout — 40BOX in this case. Also, you can use the code as many times as you like so fill up that e‐reader! What does MTM look like? 5 minutes of local fame!